Pink Twig Floral by Amy Kain — The Wedding Co. Guiding couples to their perfect posies. 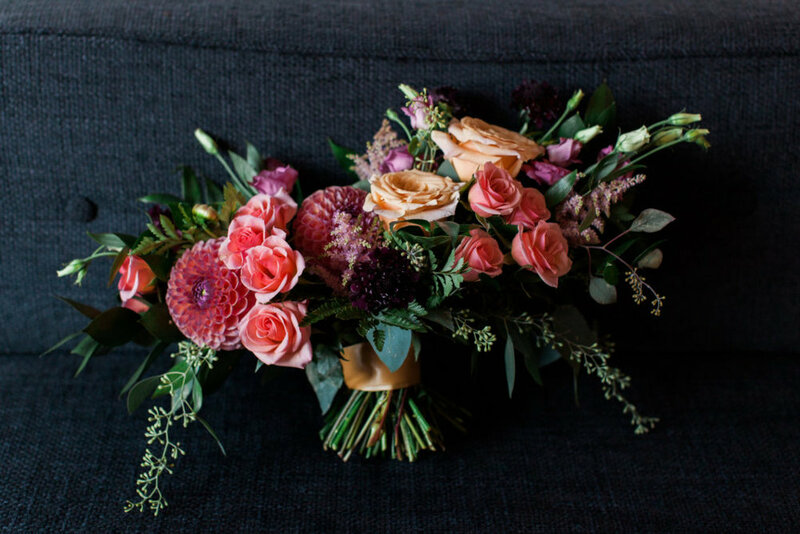 Pink Twig is a fun, flirty, full service flower shop that is open to creating any style you like. I like things that are monocramatic, doesn’t matter the colour, as long as they are all different shades of the same colour. Our favourite style is slightly organic, an equal mix of flowers and greens. Soft with a lot of movement. What is it about designing florals that you love? I love the initial sit down where we discover what “their style” is. Once that is determined it is easy to create something that is special for them. It is not about me, I am here to just guide them. Do you have any interesting facts that we can share? Couples can expect to chat about what they are looking for and getting to know me a little bit and seeing if I am a good fit for them. Couples should feel very comfortable with all their vendors. Find out more about Amy Kain on her Instagram page.